Mozaik is one of the leading providers of printing products with one-stop services from design through fulfillment. Our broad portfolio of services and products include offset, digital printing, wide format and graphic design services. We work to understand what clients require then generate solutions that fit their needs. 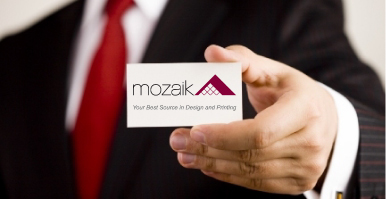 Mozaik Printing is a high-quality producer with outstanding customer service and on time delivery.